In any matter, in addition to knowledge of theory, for good results practice and experience are needed. Knowing the theory, but not knowing how to apply it in practice, you can not count on high results. This also applies to business issues. However, if you have a desire to realize some of your ideas, do not give up your goals. 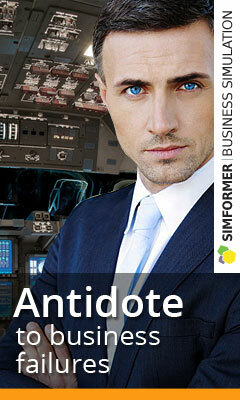 Games on-line simulators of business will help to gain experience and fill gaps. Here you can try to entertain yourself in almost any industry. A lively competitive environment will teach you to draw conclusions and analyze errors. It’s not a secret for anyone that we need to learn from someone else’s experience, but in life it rarely happens, and we learn everything basically, only making our own mistakes. So, business simulators – that’s a great option, when you seem to learn from your mistakes, but do not stuff the bumps in real life. As for the question of studying theory: any information is perceived better when modeling a visual situation. The brain activates when it comes to difficult situations, beginning to actively seek the right way out, it produces adrenaline, which makes it work at full capacity. In business simulators, various situations can be modeled, there can be force majeure, which will bring you huge benefits – new skills, knowledge and skills. This is a very effective way of developing useful management skills. Due to this, business simulators are becoming more popular and are used for conducting specialized business games and training. determine the time it will take to complete the work from the stage of setting the task to the receipt of the result (taking into account the intermediate time costs – waiting time, transportation, etc.). This is a powerful tool for teaching managerial, economic skills, which has huge opportunities. The game business full version provides a whole virtual world, close to the laws of reality. 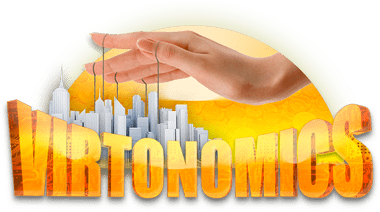 For example, the popular Virtonomics game has a whole geographical map, where you can master any field of activity, be it agriculture, trade or production. This large-scale economic strategy opens wide opportunities for the implementation of any of your ideas and goals. The virtual environment of the simulator will help to find answers to most of the questions and get useful skills for subsequent actions already in the real world.